Refreshing and revitalising, this luxurious diffuser captures the irresistible, bursting scent of verbena leaf crushed between finger and thumb. Notes of lemongrass and citrus fruits are subtly supported by rich, woody base of cedar, sandalwood and patchouli, lending earthy, outdoorsy undertones that will transport the senses. 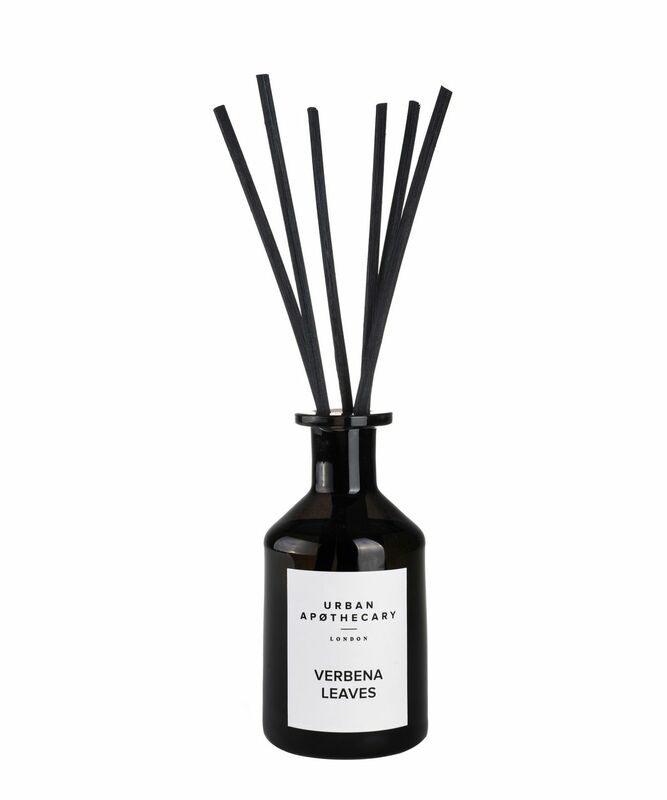 Refreshing and revitalising, Urban Apothecary’s Verbena Leaves Luxury Diffuser encapsulates the irresistibly fresh scent of verbena leaf crushed between finger and thumb. Vibrant, zesty top notes of lemon, mandarin and lime open out into a heart of subtly citrus verbena and lemongrass. To create seductive contrast, cedar, sandalwood and patchouli create the perfect base, instilling sumptuous woodiness and beautiful balance. Luxurious in sight as well as scent, this striking, minimalist diffuser is hand-poured in England by skilled artisans and presented in a mouth-blown glass apothecary bottle; the captivating fragrance will infuse interiors for up to 12 weeks. Contains Nerol, Citral, Citronellol, Geraniol, Linalool, Hexy Cinnamal, Beta-Pinenes, 2,2-Dimethyl-1,3-Dioxolan-4-Ylmethanol. Causes serious eye irritation. May produce an allergic reaction. Harmful to aquatic life with long-lasting effects. Avoid release to the environment. Dispose of contents/container to approved disposal site, in accordance with local regulations.